Marin's predecessor as CBF president, Ricardo Teixeira, and his successor, Marco Polo del Nero, were also indicted on corruption charges by U.S. authorities. Marin was found guilty by FIFA’s ethics committee of accepting illicit payments in exchange for media and marketing rights. 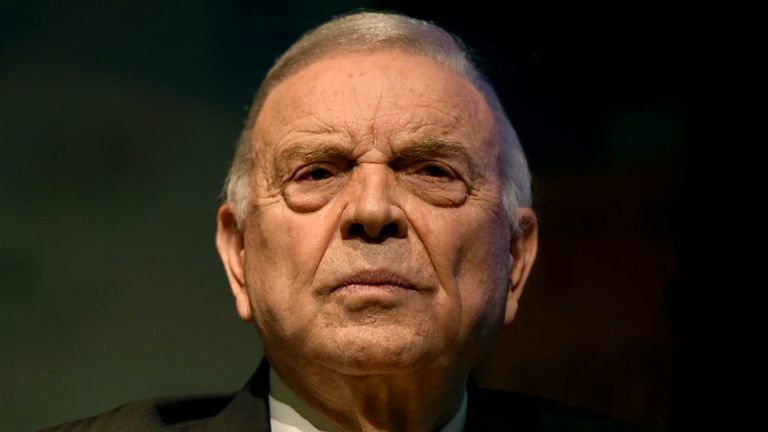 RIO DE JANEIRO, BRAZIL – Former Brazilian Football Confederation (CBF) president José Maria Marin is banned for life from all football-related activities. The 86-year-old was also fined one million Swiss francs (US$ 997,000) and ordered to forfeit US$ 3.34 million to FIFA. Marin, who is currently serving a four-year prison term in the United States after being convicted on bribery charges last year, was found guilty by FIFA’s ethics committee of accepting illicit payments in exchange for media and marketing rights. “In its decision, the adjudicatory chamber found that Mr. Marin had breached art. 27 (Bribery) of the FIFA Code of Ethics and, as a result, banned him for life from all football-related activities (administrative, sports or any other) at both national and international level,” said FIFA in a statement. Marin’s predecessor, Ricardo Teixeira, and his successor, Marco Polo del Nero, were also indicted on corruption charges by U.S. authorities but have not been extradited.